As we’ve said before, come January we start pulling out the slow cooker for some mid-winter comfort foods. 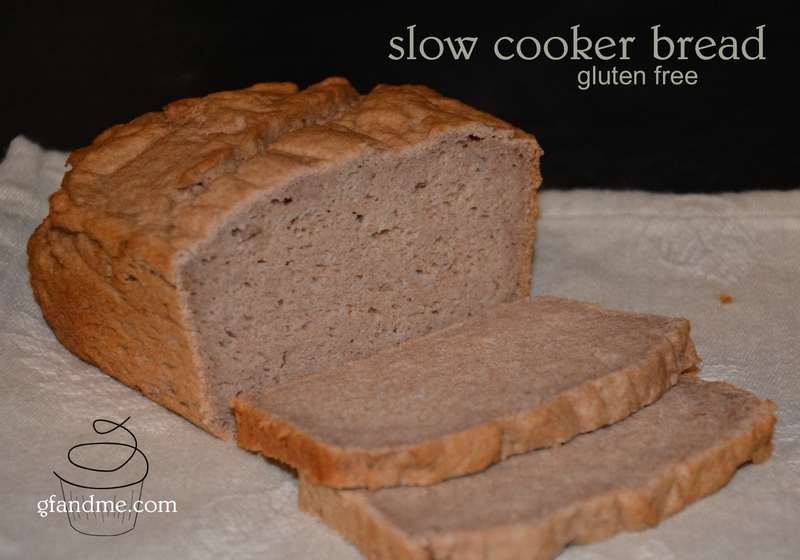 But slow cookers can be used for more than roasting and stewing, as this gluten free slow cooker bread demonstrates! This bread is heavy and sweet like a rye bread but I think my favorite thing about it is that it actually GETS BETTER WITH AGE! It’s good on the day you bake it, better the next day, and at its best the day after that. I think it’s the almond flour that keeps it moist and gets better as it slowly absorbs all the flavours. Whatever the reason, it’s not until day four that this bread finally starts to dry out and lose flavour. (I only know this because Geoff and I showed severe restraint while watching a wonderful golden loaf age away on our counter top. Four days was as much as we could take!) If you don’t like having a freezer full of half eaten loaves of gf bread, and you do like a heavy artisan-style loaf that has just a hint of Danish rye flavour, this is the recipe for you! Scroll down or hit “continue reading” for the recipe. 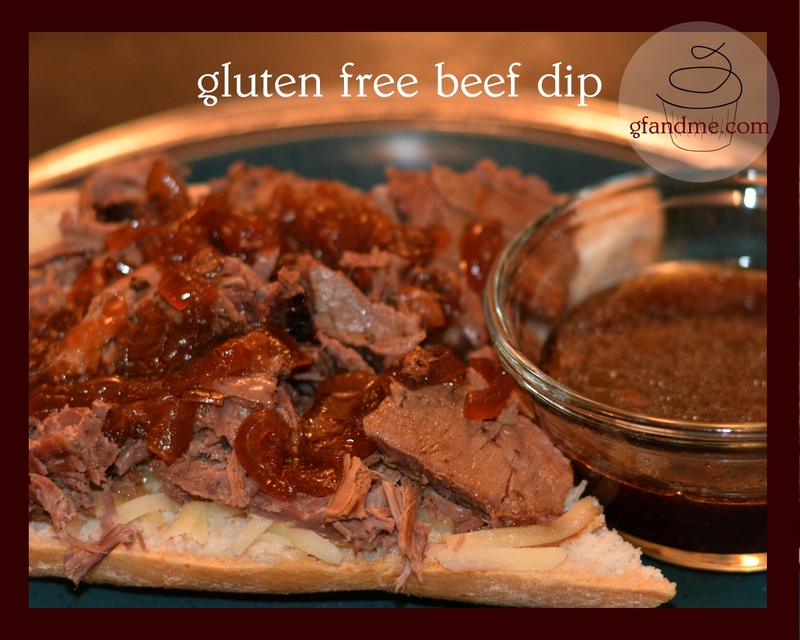 I love beef dips and this is one of the best I’ve ever had – glutenous or non-glutenous. Based on our slow cooker roast beef recipe, the meat and the jus are slow roasted in a crock pot. The meat is fantastic on its own, nicely browned with lots of flavour, and the dip is salty and savory with just a hint of peppery hotness. The sandwich takes some effort, but it’s certainly worth it! 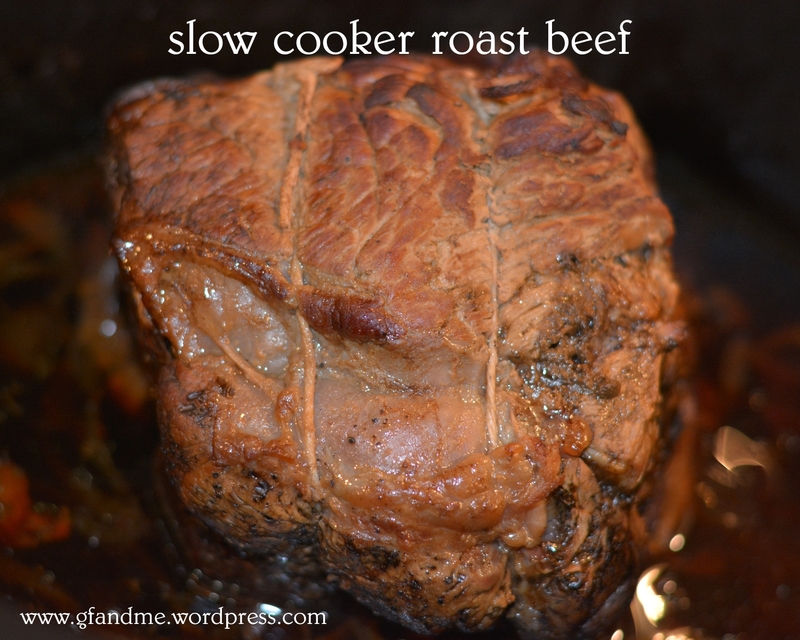 slow cooker roast beef – makes an amazing gf beef dip!